If you love chocolate and caramel, then you'll agree that it is a wonderful combination to have them together. 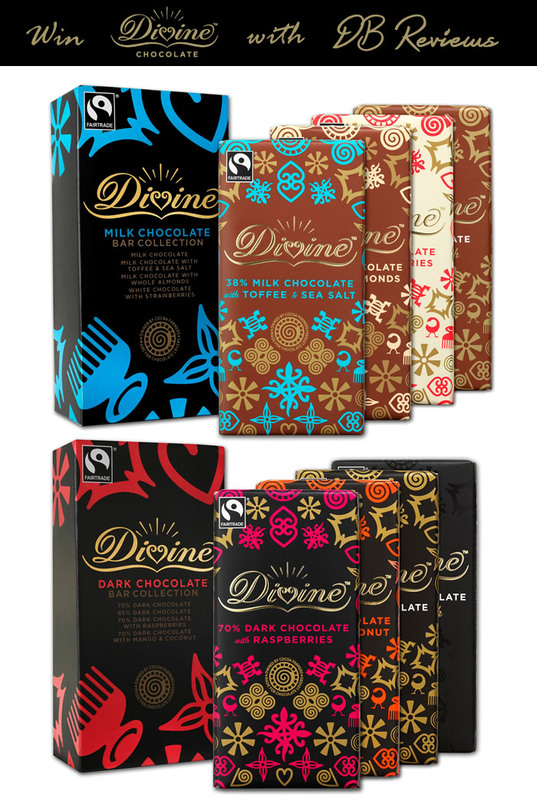 Divine, who are known for their Fairtrade chocolates, have used this delicious combination to bring out two new bars - Caramel Milk Chocolate and Caramel Dark Chocolate. The former brings together classic milk chocolate and deliciously creamy caramel while the latter is Divine's delicious dark chocolate with smooth, indulgent caramel inside. Both the bars are made with pure cocoa butter and offer a delectable taste experience. Of the two, I liked the milk chocolate with caramel - it was delicious with a creamy, soft, melting caramel center. Another new offering from Divine is the Dark Chocolate bar with Almonds and Raisins. Mr.H loves chocolate with raisins and very quickly volunteered to taste-test this new bar. Classic dark chocolate has been paired with almonds and raisins and while the flavour was spot on (luxurious and classic), Mr.H felt that the bar could have done with more raisins. But a moreish bar nonetheless. Have you tried Divine Chocolates? Want to try some of their best sellers? Divine Chocolates are kindly giving away the following to one lucky reader of DB Reviews. Dark Chocolate Bar Selection : An intensely rich dark chocolate bar collection containing 70% dark chocolate, 85% dark chocolate, dark with mango & coconut, and dark with raspberry. Milk Chocolate Bar Selection : Smooth milk chocolate bar collection containing 38% milk chocolate with toffee and sea, white chocolate with strawberries, milk chocolate and milk chocolate with almonds. Glad you enjoyed them Kim.